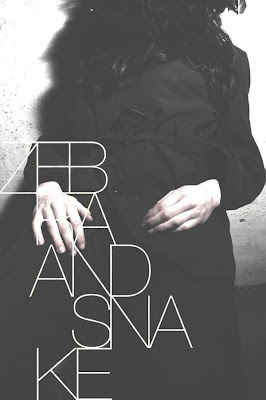 Zebra & Snake are a duo from Finland. They put out dark electro-pop with great bass lines that remind me of bands like Joy Division or Talking Heads, but with a poppier edge. Real good stuff! Love their spastic, horror movie like new video for 'The Colours'. Here is that plus a couple tracks to get you aquainted. Zebra Power! haha I really liked that video! I'm really into the local music scene. I have been going to shows for as long as I can remember. With the countless Spam Allstars and Jacobs Ladder shows, I got kind of tired of the same old songs. There is some great alternative and pop-rock music in Miami these days, especially coming from this record label called "Dying Van Gogh". There's a band called "Ex-Norwegian", whose frontman Roger Houdaille is a well known local musician hailing from Miami Beach that has been involved with other projects like Father Bloopy, Monkeypox, and the outrageous BJ Experience. The next big band coming from this label is called "Dreaming in Stereo". This band's frontman, Fernando Perdomo, has worked with popular artists like Christian Castro, Paulina Rubio, Mika, and Juanes! If you are interested in real, down to earth Miami rock music, you must check out this great band. Their music is really catchy, fun, progressive pop-rock. Perdomo writes some great lyrics too. Their fun crowd sing along " I'm Not Going To Move To L.A " gets everybody chanting that they're "staying right here" in Miami. You can check Dreaming In Stereo out at their CD release party this month- for FREE -at the ultra cool Kitchen 305! This party is going down on Friday- July 24 at 8:00pm at Kitchen 305 in the Newport Beach Resort which is located at 6701 Collins Avenue/ North Miami Beach, FL. You can listen at www.myspace.com/dreaminginstereo. Thank you so much for your time. I'm such a big fan of these guys that I feel the world should know, or at least ALL of Miami! Maybe you can contact the band and get an interview or review the album. I really want to see them succeed. Nice. I like the video for this.